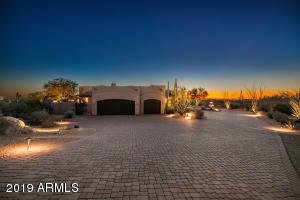 Best Value - Gated & distinctly sited on 4 ac with extended 380'driveway leading to circular motor court. 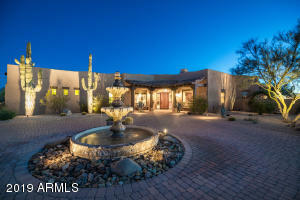 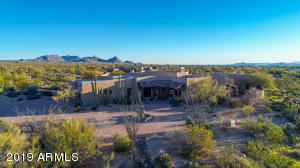 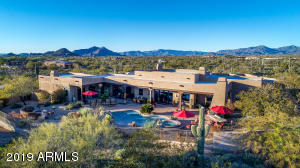 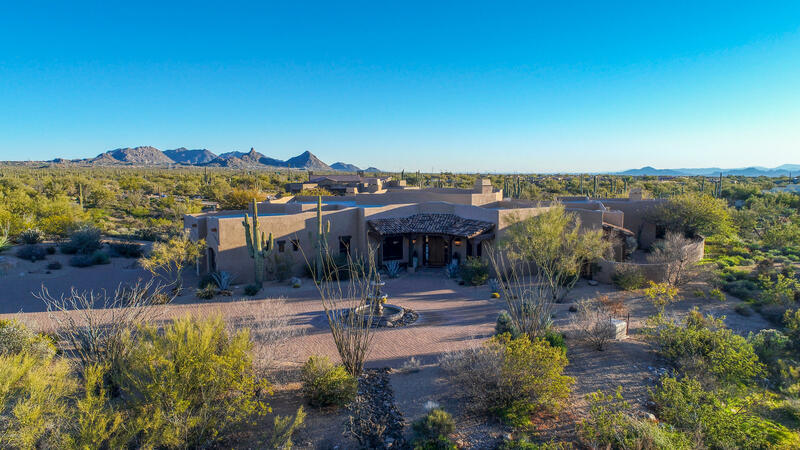 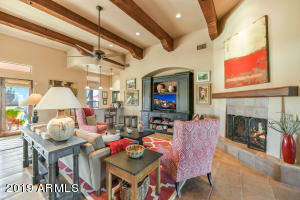 In this warm SW Casa the premium detailing is evident: impressive Cantera fountain, beams & corbels, boveda brick arches, art niches, solid doors & iron hardware. 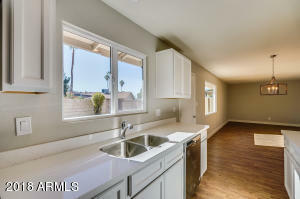 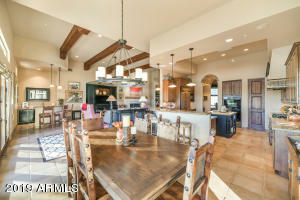 The tall Great room is open to an inviting Kitchen, formal & informal Dining. 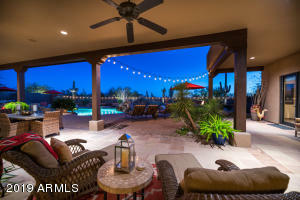 Entertain Friends & Family at the sunny south pool areas, with spectacular Sunsets, dark starry nights. 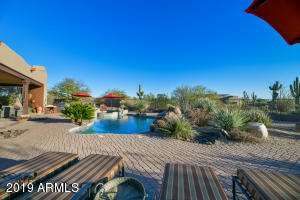 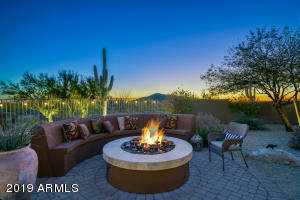 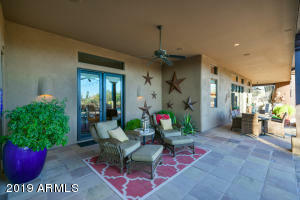 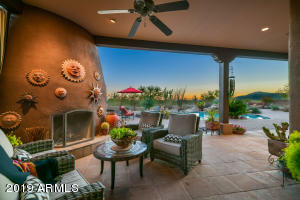 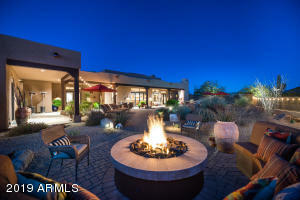 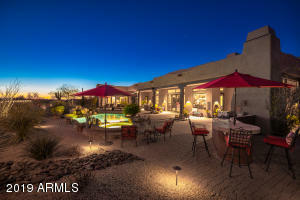 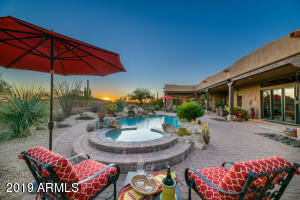 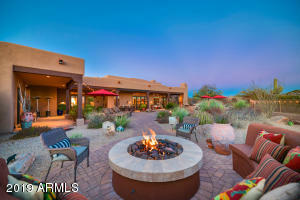 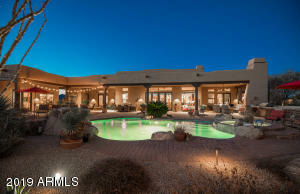 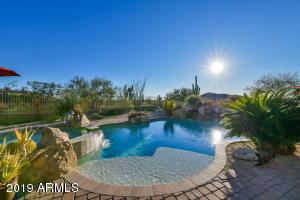 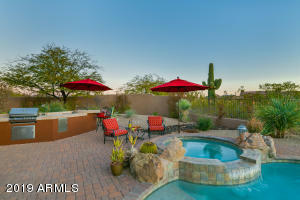 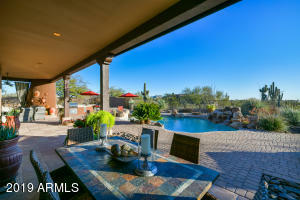 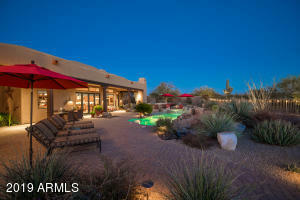 Heated pool, spa, outdoor fireplace, BBQ bar, and a firepit with banco seating. 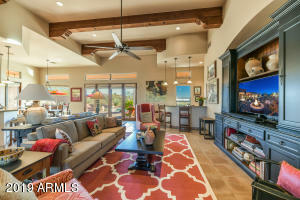 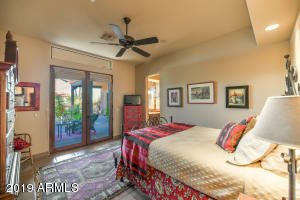 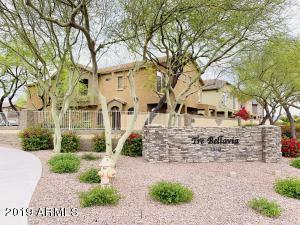 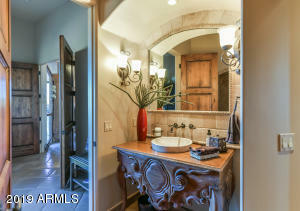 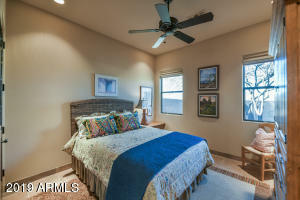 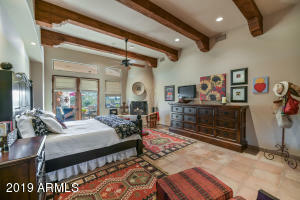 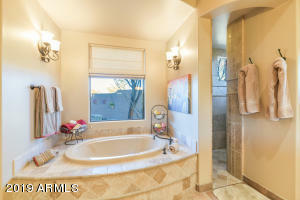 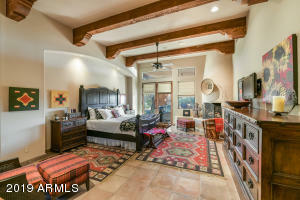 Retreat to your Master Suite with kiva fireplace, a Sitting or Exercise room, a huge customized closet, 2 Patios. 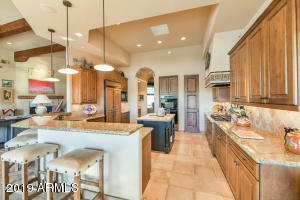 The large Guest house includes a Living room and Kitchen. 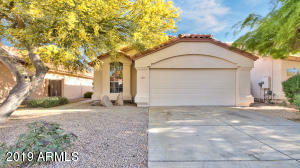 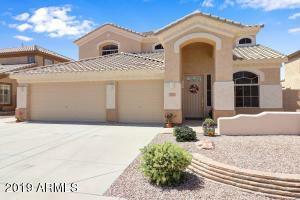 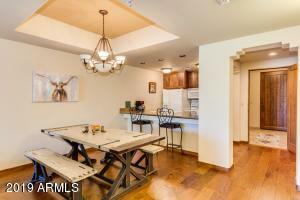 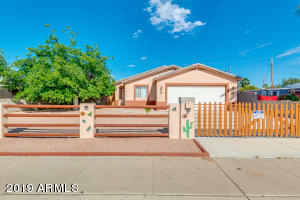 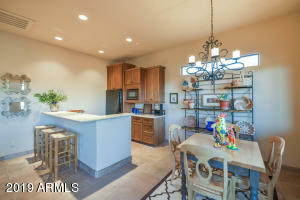 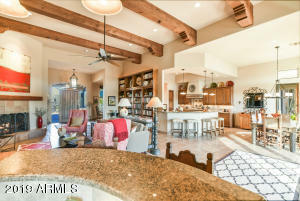 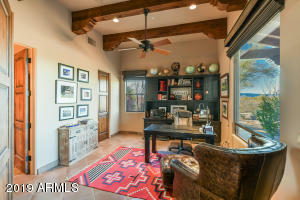 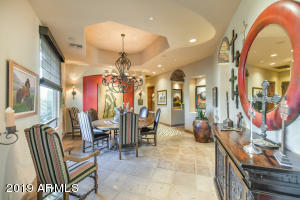 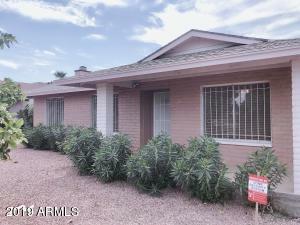 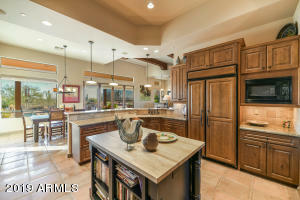 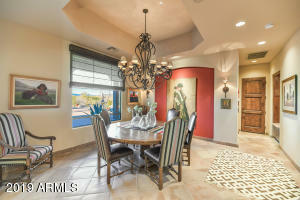 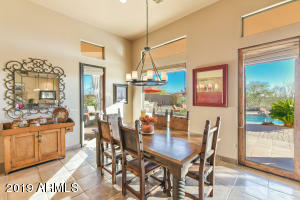 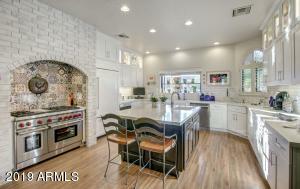 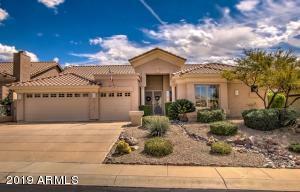 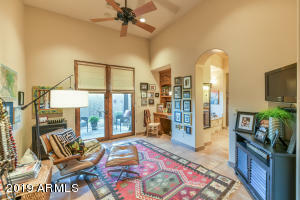 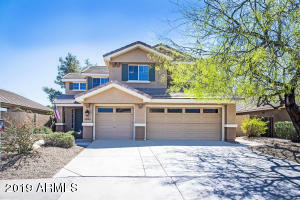 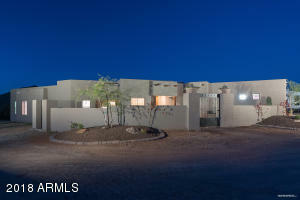 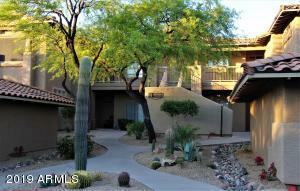 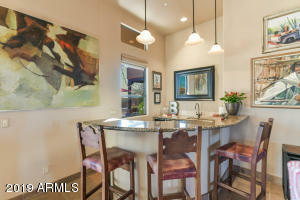 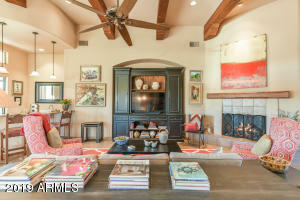 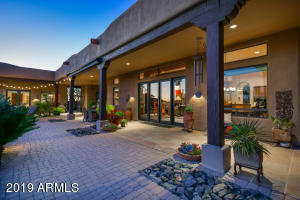 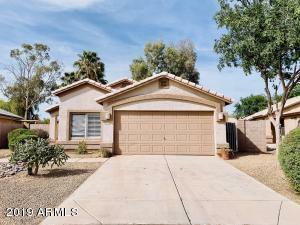 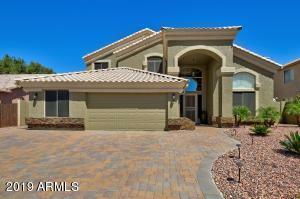 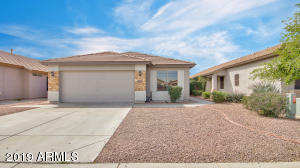 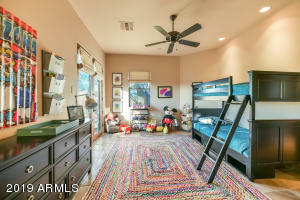 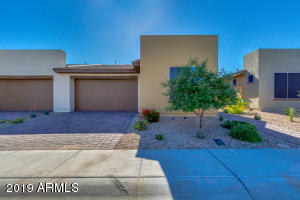 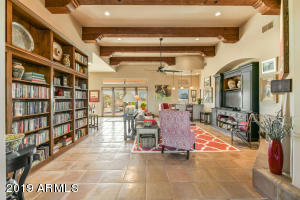 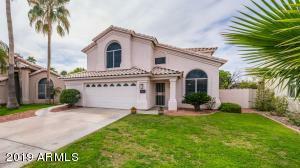 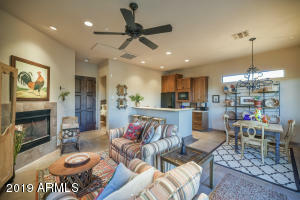 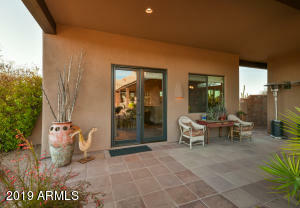 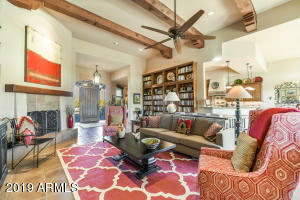 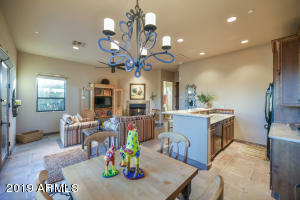 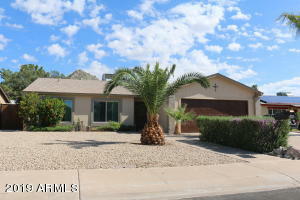 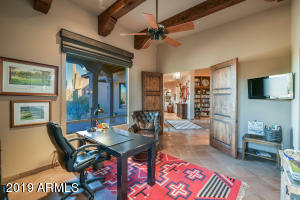 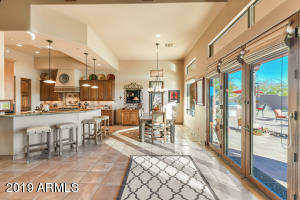 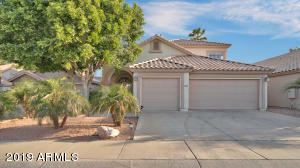 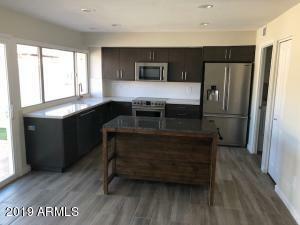 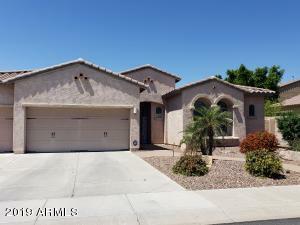 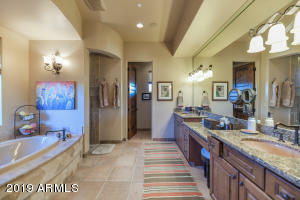 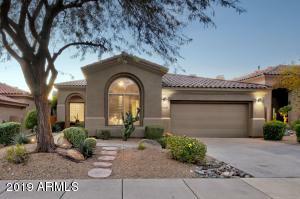 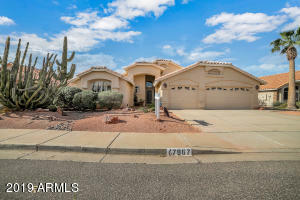 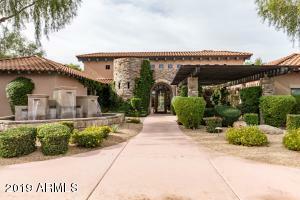 Located by trails of the Preserve, and ok to add collector Garage or Horse Facility. 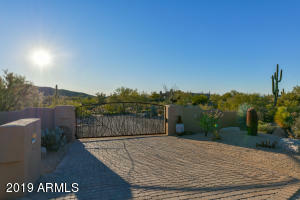 Entry Gate is located on west side of Pima Road just North of Lone Mountain Road. 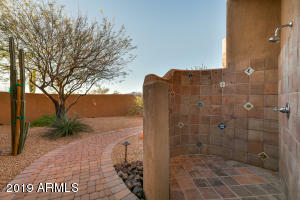 Red mail box at gated entry.